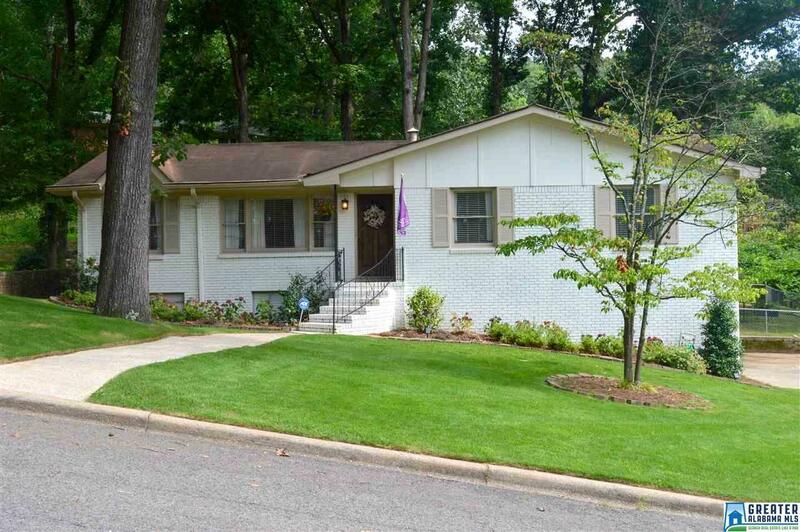 Great curb appeal in this painted brick raised ranch on a quiet Forest Park street. Large screened in porch and new deck were just completed in July 2018. Landscaping, sod, and French drains done in Spring/Summer of 2017. Exterior color changed from caramel to white in Spring of 2016, along with new exterior light fixtures. Fence was added in November of 2014, making this a great yard for dogs or children to run and play in. Interior painted and blinds installed in Fall of 2016. Electrical fuse box changed to breaker box in Fall of 2014. Many other improvements too numerous to list here. There is a large wonderful room downstairs that is a great man cave, playroom or office. This room also has a wood burning fireplace! You will be about 10 minutes from UAB, downtown and all the new cool restaurants and bars that have opened in Lakeview and Avondale area. About 5 minutes to shopping and dining in Crestline too. A quick 10 minutes to the airport for air travel. Great house & location.